In the study of Hindu Vedanta philosophy, jnana-vijnana is a Sanskrit term for the pursuit of knowledge combined with intuitive realization arising from perception. If applied to music in a jazz framework, it is free from agitation and flows with a meditative rapture. 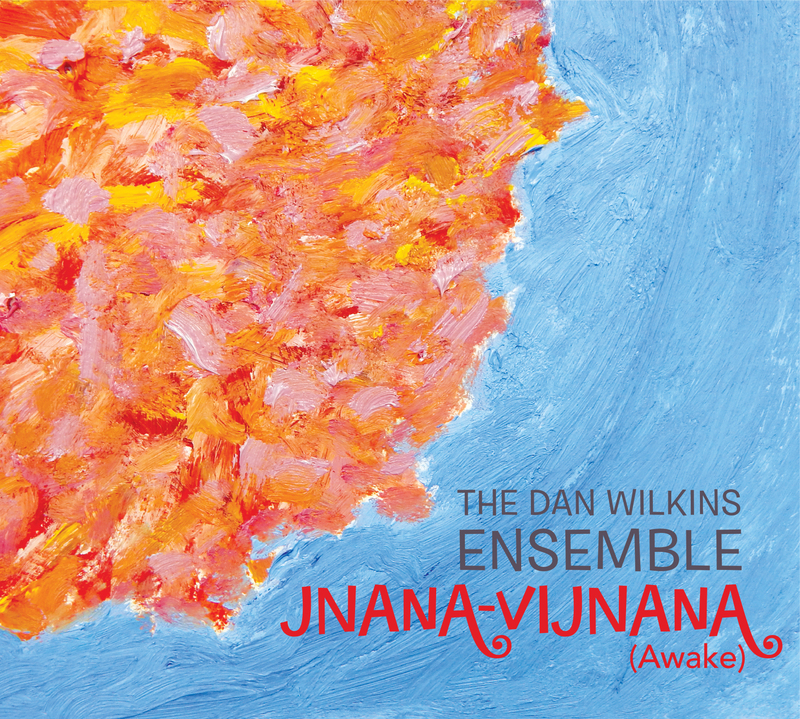 The Dan Wilkins Ensemble took this spiritual direction on Jnana-Vijnana (Awake), and interpret the essence of the scripture in a tranquil harmonious concept. “Transfigured,” is the beginning of the process where leader, composer, and tenor saxophonist Dan Wilkins, entered into his personal transformation, and establishes the soothing and sophisticated mood for the record. The astral sax entwines with the piano to paint an aural path of encounter and awakening. “Ebb and Flow,” is a softly ascending composition introduced by an extended piano as Wilkins on tenor is joined brilliantly by altoist Patrick McGee. The two guitarists lay the rhythmic foundations for “As the Clouds Depart,” as the percussion invokes a slight mid-eastern direction, always maintaining that mysterious journey which is the undercurrent of the album. There is a sense of travel wrapped around returning home in “Of Distant Lands,” where a dominant theme of affirmation is exhibited. The inner segment is filled with a melodic and inventive guitar solo that leads back to the swirls and twirls of the two saxophones. There is in “Unraveled,” by Wilkin’s own admission, a backdrop of internal conflict and chaos, which manifests into resolution and acceptance. It begins in an abrasive arrangement which undergoes a metamorphic transformation into a genial atmospheric orbit. The finale is “Soar,” where the shackles from doubt and fear are released and the spirit is allowed freedom of flight, depicted with splendor and grace. The utilization of a spiritual or philosophical inspiration, has been associated with some of the major innovators in the jazz idiom for some time now. John Coltrane readily comes to mind with his landmark recordings, as well as Pharoah Sanders, just to name two saxophonists, who embarked on transcendental musical excursions. Dan Wilkins—though young in years and experience—has been successful in not only composing the profound and enlightening music on this record, but in projecting his ideas into his fellow bandmates, each whom played their parts to perfection. This record reflects an understanding of knowledge obtained with a realized perception of the goal achieved. Track Listing: Transfigured; Ebb and Flow; As the Clouds Depart; Of Distant Lands; Unraveled; Soar. Personnel: Dan Wilkins: tenor saxophone; Patrick McGee: soprano saxophone; Mike Bono: guitar; Vaughn Stoffey: guitar; Dave Lantz: piano, keyboards; Kevin Bernstein: piano, keyboards; Daryl Johns: double bass; Jimmy Macbride: drums, cymbals.